Will Landing Pages Improve My Search Engine Ranking? Posted on 28th February 2011 at 13:51. The purpose of any search engine optimisation package is to increase you business’ visibility on the web and hopefully to turn that into increased sales. One way that can be achieved is by using landing pages, or doorway pages. So, what’s the difference between a landing page and my normal website home page? Well, that’s the $64000 question, and one that can often confuse businesses new to the web. A landing page is essentially a specific page within your complete website structure, where traffic will land when it accesses your URL. Surely though, isn’t that just my home page? Well, that’s where it can be confusing. Your home page can indeed be your landing page, but surprisingly your landing page needn’t necessarily be your home page. Still confused? Well look at it this way. Imagine you run a record store online and your taste is truly eclectic covering every genre of music. When users click your home page they’ll see that you are able to supply them with everything from Beethoven to Boys Own. However, if you also specialise in rare jazz records or 70s heavy metal, wouldn’t it make sense to have pages specifically for them. If users search for rare jazz – Manchester, or 70s heavy metal – Stockport, they’ll then be taken directly to your landing pages and be given precisely what they’re looking for without the need to trawl through everything else you have to offer. I don’t know about you, but I tend to navigate away from sites that require too much effort. If you can do the groundwork for the customer, they’re much more likely to stay and browse. The whole point of doorway pages is to make searching your products as easy as possible for any potential customer. You want to attract them to your site, and once you get them there you want to convert their visit into a sale. 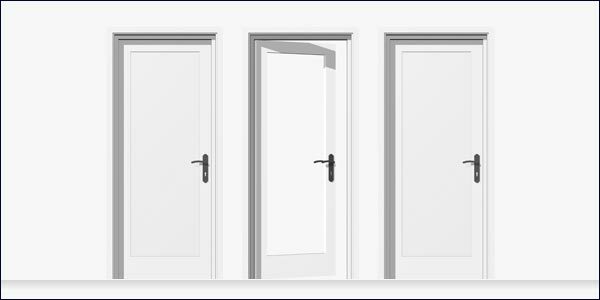 That of course leads to the next point – how do you make your doorway pages as effective as possible? How do you ensure you attract the customer who wants that rare jazz record? It’s simple really, you need to optimise your landing pages and make them rich with SEO content. They have to be structured to be search engine friendly and be ‘relevant’. If you can achieve this you’re more likely to make that sale and it will have the added benefit of increasing your search engine ranking too – but, more on that in a later blog. You Can Leave Your Hat On?How Can Twitter Help To Build A Brand Voice?